The main point of my original piece was to show that, whatever one thinks of his writings on economics, Rothbard was a bad philosopher and therefore unjustified in the stridency with which he asserted some very extreme positions in moral and political philosophy and attacked those who disagreed with those positions. As I emphasized in that piece, the issue is not whether there might be some way or other to salvage this or that Rothbardian claim. The point is rather that Rothbard’s own arguments for his positions in ethics and political philosophy are extremely bad. The comparison of Rothbard to Hume, Mill, and Aquinas might seem too risible to be worth responding to. But presumably Casey means to suggest, not that Rothbard was in their rank as a thinker, but only that these eminent philosophers vividly illustrate that an occasional lapse into fallacy does not entail that one has no talent as a philosopher. Fair enough. But I did not claim that Rothbard was a bad philosopher merely because he committed a fallacy here or there. I claimed he was a bad philosopher because his philosophical arguments were as a matter of course crude, superficial, and unoriginal even when otherwise interesting, that his most central philosophical positions maintained a crude and fallacious quality even when developed and restated over the course of several years, and that his absurd confidence in them was in any event out of all proportion to their actual merit. I focused on one of Rothbard’s key arguments in particular as an illustration, but I emphasized that the point was that the kinds of faults it exhibited could easily be found elsewhere in his writings. These faults cannot be attributed to the thinkers Casey mentions. But let’s move on to the details of Casey’s reply. In my original piece, I set out four main lines of criticism of Rothbard, and Casey’s paper is divided into sections corresponding to each of them, which he labels “Feser’s First Criticism,” “Feser’s Second Criticism,” etc. (with some sub-sections responding to particular issues arising in the course of dealing with each line of criticism). For ease of exposition I will respond to Casey section by section, each section of what follows corresponding to one of his sections or sub-sections. Hopefully this will make our exchange easier to follow that it otherwise would be. Casey notes that I object that the principle of self-ownership doesn’t follow from the premises Rothbard seems to adduce in support of it, and he concedes that it does not follow from them. But this is irrelevant, Casey says, because Rothbard was not trying to argue for the principle of self-ownership in the first place; he intended it instead as an axiom. Hence my objection is (Casey holds) misdirected. Now it is true that Rothbard sometimes refers to the thesis of self-ownership as an “axiom.” Still, there are two problems with Casey’s line of defense. First of all, if Rothbard seriously intended the principle of self-ownership as an axiom, then that surely only bolsters my claim that he was a bad philosopher. For the principle of self-ownership is extremely controversial; whether or not it is true, there are many people – including intelligent, rational, and well-informed people – who do not believe that it is. It is in this respect very different from other principles often put forward as axiomatic – the principle of non-contradiction, for example – which have a “self-evident” character and which very few people have ever seriously denied. Hence it is neither at all prima facie plausible to suggest that the thesis of self-ownership be taken as axiomatic, nor wise as a strategy for convincing people to accept a political philosophy that is extremely controversial (as anarcho-capitalism is) to base it on an equally controversial first principle. Even a non-philosopher can see this. Surely a non-mediocre philosopher would have seen it too. Secondly, in dealing with this first criticism, Casey does not quote in their entirety the relevant passages from For a New Liberty and “Justice and Property Rights.” I do quote the entire For a New Liberty passage toward the beginning of my original piece. The reader who goes back and takes a look at it will see that Rothbard does indeed clearly give an argument – let’s call it the “reductio argument,” since he tries to reduce the denial of self-ownership to absurdity – in defense of the thesis of self-ownership. Furthermore (and as the passage just quoted indicates) while Rothbard sometimes speaks of self-ownership as axiomatic, he also often speaks instead of the “nonaggression axiom” as what is fundamental to libertarianism, where the “nonaggression axiom” rules out the initiation of violence or the threat of violence against another person or his property. This is evidently a different principle from the self-ownership principle, though there is obviously a connection between them. Indeed, Rothbard treats the principle of self-ownership as a justification for the nonaggression principle: the reason you should not initiate violence against others is that they own themselves. But if the nonaggression principle is itself justified only by reference to the self-ownership principle, in what sense is it “axiomatic”? And if it is not axiomatic – if Rothbard’s reference to the “nonaggression axiom” is not meant seriously (given that the nonaggression principle is actually something he thinks needs to be justified by reference to some other principle) – then the fact that he sometimes refers to the principle of self-ownership as an “axiom” does not show that he really believed it to be strictly axiomatic either. Hence, either Rothbard was not serious about treating self-ownership and/or nonaggression as axiomatic – that is, he was using “axiom” in some loose, popular sense and not a technical philosophical sense – or, again, he was serious about it, and thus was simply muddleheaded in raising the question of what “foundation” one ought to give such principles. Either way, Casey’s first line of defense fails. Now Casey also suggests, in the next section of his article, that what I have called Rothbard’s “reductio argument” be understood, not as a direct argument for the thesis of self-ownership, but rather as an indirect defense of the sort that tries to show that anyone who denies self-ownership must be led into a performative self-contradiction. This would be an application of what is known as the method of “retortion,” and it is sometimes deployed in defense of axioms, as Aristotle deploys it in defense of the principle of non-contradiction. So, while a direct argument for an axiom would be a solecism, an indirect defense of the retortion sort is perfectly legitimate; and this, Casey claims, is what Rothbard was up to. But there are three problems with Casey’s suggestion that the “reductio argument” was intended as an application of the method of retortion. First, while Rothbard deploys the “reductio argument” in For a New Liberty, where he makes much of the idea that libertarianism rests on an “axiom” of non-aggression or (alternatively) self-ownership, he also deploys versions of the same argument in both “Justice in Property Rights” and The Ethics of Liberty, where, interestingly, the “axiom” idea does not play a role. But if this argument was not intended as an application of the retortion strategy in the latter two works (since there is no talk there of an “axiom” of self-ownership), but rather as a direct argument for self-ownership, then we have good reason to think it was intended as a direct argument in For a New Liberty as well (where, as we have seen, Rothbard’s use of the term “axiom” is very slippery in any event). Moreover, even if Rothbard shifted strategies between For a New Liberty and the later works – that is, even if he intended his argument as an application of the retortion strategy in the earlier work but not in the later works – that would hardly help Casey’s defense. For it would constitute a tacit admission on Rothbard’s own part that the “axiom” approach is implausible and should be abandoned. And in that case, Casey’s appeal to the “axiom” interpretation as a way of rescuing Rothbard’s arguments from my criticisms would be undermined. Second, the retortion interpretation of what I have called Rothbard’s “reductio argument” is implausible even apart from these textual considerations. For the “reductio argument” goes well beyond the appeal to performative self-contradiction that is central to the retortion strategy, making reference as it does to various empirical economic claims. Third, even if Rothbard really did for all that intend the “reductio argument” as an exercise in retortion, it is still a very bad argument, for all the reasons set out in my original piece. Indeed, given all the problems outlined in that piece, it is an even worse argument if interpreted as an exercise in retortion, since the whole point of retortion arguments is to provide a crisp and conclusive proof that will close off any further debate. One problem with this move is that it simply does not fit the textual evidence. In the passage in question, Rothbard doesn’t say that “ownership of one’s body signifies the right to a range of control over it” but rather merely that “ownership signifies range of control.” That is to say, in this particular passage Rothbard is evidently concerned with ownership in general and not merely with self-ownership; and he is not making the (normative) point that ownership entails a right, but rather the (descriptive) point that it entails certain practical abilities such as the ability to feed, clothe, and shelter oneself. But this is weak even as an ad hominem. There is no inconsistency between what I said in On Nozick and what I said in criticism of Rothbard. For my criticism of Rothbard was not that there is no way to reconcile self-ownership with God’s ownership of us. My criticism of Rothbard was rather that he did not even address the issue in the first place, even though it is (as Casey himself acknowledges) an objection that many theists might naturally suppose (whether correctly or incorrectly) has force against the thesis of self-ownership. (Why Casey thinks Rothbard himself held “substantially the same position” as the one I took in On Nozick is something he does not tell us.) Nor is it any good to say, as Casey does, that Rothbard should not be expected to address every possible criticism, since the objection at hand is hardly an obscure one, raising as it does an issue that goes back at least to Locke. Moreover, Rothbard was famously on friendlier terms with theists than many other contemporary libertarians have been, and in other contexts more sensitive to their concerns than (say) a Rand or a Nozick would have been. There is simply no excuse for his having failed to address this issue. Casey’s treatment of these alternatives is brief, and can be found on page 9 of his essay. Go read it if you haven’t already, because since I’m not even clear what his argument is supposed to be, I fear I might misrepresent it if I try to summarize it. In response to my criticism of Rothbard here, Casey says that “ownership implies the right to dispose of one’s possessions in any way one chooses, subject to the limitations of not infringing upon the rights of others. To the extent that one cannot so dispose, to that extent one is not an owner.” I can only speculate that his point is that talk of “partial ownership” in my proposed alternatives is therefore somehow suspect: one either owns something or one doesn’t. But Casey himself uses the qualifier “to that extent,” which appears implicitly to acknowledge that ownership can be partial. And that it can be partial is in any case obvious from everyday experience. For example, you and your roommate might buy a car together and come to some agreement as to who can drive it and when. True, to the extent that you can’t drive it just whenever you want, “you are not an owner,” but only to that extent; and this is just a roundabout way of saying that you and your roommate are each partial owners, rather than either being a complete owner. So, I am not clear how what Casey says is supposed to be a problem for my criticism of Rothbard. Casey also suggests that Rothbard’s assertion of “the absurdity of ‘proclaiming that every man is entitled to own a part of everyone else, yet is not entitled to own himself’” shows that there is something inherently fishy in the very idea of everyone having partial ownership of everyone else. For that idea too entails (Casey claims) “the peculiar situation of people being able to own all or some of other people but not able to own themselves.” Again, I am not at all clear what Casey is talking about. The “partial ownership of others” scenarios in question do not involve “people being able to own all or some of other people but not able to own themselves.” Rather, they involve people who do own themselves at least partially while also having partial ownership of others. Hence the absurdity Rothbard thinks he sees in the scenario he describes is not even relevant to the cases I was describing. Casey seems to be just insisting dogmatically that ownership is all-or-nothing, when whether this is the case or not is precisely (part of) what is in question. One of Rothbard’s claims was that to assert a right of ownership over others entails asserting that those others are subhuman. In response, I pointed out that some defenders of slavery would deny this, and insist that recognizing the full humanity of others is consistent with claiming a right to keep them as slaves. Once again, I am not clear about what Casey’s reply to this objection is supposed to be. It seems to me he does little more than simply re-assert Rothbard’s position. He does say that any claim on the part of some to have ownership rights over others would have to be “grounded in some significant difference between the two groups. Accidental differences of height or weight, or hair colour or language will obviously not suffice to ground such a right in one group of human beings as against another.” True enough. But it doesn’t follow that the difference in question would entail that the one group is less human than the other. For example, a would-be slave owner might try to argue that while he and his prospective slave are both human, the (alleged) fact that the slave has a much lower degree of intelligence shows that he is more like a human child than a human adult and thus cannot be trusted to run his life for himself. To answer such a would-be slave owner, then, one must do more than merely point out that slaves are human. Here as elsewhere, though, the issue is not whether Rothbard’s position is or is not correct or defensible. The point is that Rothbard’s own arguments for his position are subject to obvious objections that he does not even consider. In defense of Rothbard, Casey says: “Rothbard is clearly not saying that those who do not engage in production and exchange are not alive. If he had claimed this, there would be some point to Feser’s animal counterexample.” Well, of course Rothbard wasn’t saying that, but neither was I claiming that he was. The question isn’t whether those who don’t engage in production and exchange in Rothbard’s sense will instantly die. The question is whether life could continue over time without production and exchange. Rothbard is evidently claiming that it could not; as Casey puts it, “Rothbard’s point, if I understand it correctly, is an economic one to the effect that production and exchange are substantive human activities that are essential to human survival.” But that Rothbard is wrong is obvious from the animal example. Animals don’t ‘produce’ or ‘exchange’ things in the economic sense, and yet they are able to sustain themselves in existence. Human beings could do the same if they needed to, hunter-gatherer style. To be sure, this wouldn’t be a very satisfying way of life for us civilized people, but that’s beside the point. Rothbard is trying to show that unless you accept his conception of self-ownership, you are logically committed to a system that would make continued human life impossible. And he simply fails to come anywhere close to showing that. Indeed, it is obvious that he fails to show it – the animal counterexample is hardly that difficult to come up with – which was exactly my point. Here, as elsewhere, Rothbard makes preposterously bold claims without even bothering to address obvious possible objections. There are also obvious difficulties with Rothbard’s claim that the “parasitism” of one group living off another is inconsistent with the system of production and exchange. One problem is that it obviously isn’t true: By Rothbard’s own anarcho-capitalist lights, the history of the human race is largely a history of “parasites” (e.g. governments) living off of the wealth generated by those who produce and exchange. If such “parasitism” is incompatible with a system of production and exchange, how has this system been able to survive so long, “parasites” and all? Of course, Rothbard might claim that, even if this is possible as a practical matter, there is no economic principle that could justify it. But (a critic might ask) since it is practically possible, how could any economic principle that ruled it out itself be justified? Wouldn’t the centuries-long empirical, practical success of such a “parasitic” system falsify any such economic principle? Alternatively, Rothbard might hold that such parasitism is ruled out by a moral rather than economic principle. But if so, it cannot be the principle of self-ownership that rules it out, because that would make the argument in question – which is intended to establish self-ownership – a circular one. Any moral principle strong enough to get Rothbard what he needs in order to salvage the argument in question would, then, be either question-begging or prima facie highly implausible. But again, whether such a principle could ultimately be defended is not what is at issue. The point is that the potential problems with Rothbard’s position should be obvious, and yet he failed even to consider them. So, Casey’s defense of Rothbard fails. Indeed, our consideration of it has indicated that Rothbard may have been an even worse philosopher than I let on in my original post. Which is saying something. For the principle of self-ownership is extremely controversial; whether or not it is true, there are many people – including intelligent, rational, and well-informed people – who do not believe that it is. Now if by axiom, you mean something like a properly basic belief, I am not sure this criticism is cogent. Your position would seem to entail that a belief which “many intelligent, rational, and well-informed people” deny cannot be properly basic. This seems to me to be mistaken. First, suppose I was accused of a crime, I remember clearly being somewhere else when the crime was commited, hence I know I did not do it, this would arguably be a basic belief yet informed prosecutors or police detectives may disagree with me. Similarly it seems to me that people are justified in holding certain moral beliefs such as “its wrong to torture people purely for entertainment” as basic despite the fact that many intelligent, rational well informed people are error theorists and hence think this claim is false. Second, isn’t there a kind of self refuting issue here? Suppose it’s a necessary condition of proper basicality that “all intelligent, rational, and well-informed people” accept the belief, this condition is one many intelligent rational people reject ( some don’t think it’s a condition of proper basicality and others don’t accept foundationalism of any sort). Hence, the belief itself would need to be supported by arguments from premises that all intelligent rational people accept before one could rationally accept it. I doubt many philosophical arguments would meet that standard. An axiom is not just any old properly basic belief, since proper basicality can be relative. E.g. the belief that you were at such-and-such a place at such-and-such a time might be properly basic for you, but not for the police; or it might be properly basic for you now, but not ten years from now after you've entirely forgotten about it. Axioms are not like that. An axiom is instead the sort of thing for which no evidence could ever be given that is not less obviously true than the axiom itself is. The usual examples are things like the traditional laws of logic (non-contradiction, identity, and excluded middle) or Euclid's axioms. No argument anyone could give for the principle of non-contradiction, say, is as obviously correct as the principle itself is. That's why it's an axiom. My point was that for Casey's first line of defense of Rothbard to succeed, it would have to be at least plausible to hold that the principle of self-ownership might be an axiom in THAT (very strong) sense. But, I submit, it is not at all plausible to hold this. I'm afraid that we are much less close on Rothbard's value as a philosopher than on the merits of The Last Superstition. For now, I'll raise just one point. If Rothbard thinks that self-ownership is an axiom, how can he argue for it? The answer, it seems to me,is that he takes it to be an axiom in political philosophy. But this does not preclude the possibility that in another subject matter, in this case ethics, there are arguments for self-ownership. Your knowledge of scholastic philosophy far exceeds my own, but, if I am not mistaken, Maritain in The Degrees of Knowledge gave a classic discussion of how the first principles of one discipline are justified in more foundational disciplines. Yes, the first principles of one science can sometimes be the conclusions of another. But that doesn't help Casey's defense of Rothbard. Casey doesn't say "For Rothbard, self-ownership is axiomatic in politics, but of course it ultimately needs to be argued for in some deeper discipline, like ethics." Nor could he say that, given his strategy, for the obvious reply in that case would be "Fine, then his argument is a bad argument in ethics rather than a bad argument in political philosophy. How does that help?" Remember, the whole point of Casey's strategy is to try to show that Rothbard was not trying directly to argue for the principle in the first place, so as to get around the problem that Rothbard's conclusion doesn't follow from his premises. Moroever, the indirect argumentational strategy Casey does attribute to Rothbard -- retortion -- is the sort of strategy appropriate to defending ultimate first principles such as the law of non-contradiction, not principles susceptible of direct argument in terms of more evident principles (as the principles of lower level sciences are). The merits, or lack of them, of Rothbard's case for self-ownership are of course an important issue, but it wasn't the one I was addressing in my previous post. Rather, I meant to counter your claim that Rothbard was "muddleheaded" in arguing for an axiom. You are also right that retortion arguments are usually used to defend fundamental principles rather than principles capable of being derived from more evident principles. But an axiom of a lower level science can be identical to a principle established in a more fundamental science; it need not be a different principle derived from the conclusions of the more basic discipline. Your case against Rothbard rests on two premises: what he says about self-ownership is no good; and, lest someone reply that one bad argument doesn't make a bad philosopher, he has no serious body of philosophical work to which his defenders can appeal. I think that his case for self-ownership is a good one, but to show this I would need to respond in detail to the many points that you raise. I'm not going to attempt this Herculean task now. Instead, I'd like to give examples of significant philosophical arguments by Rothbard. 2.Also in Power and Market, he offers an intriguing argument that certain ethical goals, e.g., particular kinds of egalitarianism, can be shown, without appealing to any value judgments, to be incoherent. 3. His discussion of problems with utilitarianism in Ethics of Liberty raises philosophically acute points. Finally, on self-ownership, the following may be of interest: "Then Paul III, anxious with a fatherly love as to the condition of the Indians and of the Moorish slaves, came to this last determination, that in open day, and, as it were, in the sight of all nations, he declared that they all had a just and natural right of a threefold character, namely, that each of them was master of his own person, that they could live together under their own laws, and that they could acquire and hold property for themselves.” – Leo XIII, “On the Abolition of Slavery” (1888), in The Church Speaks to the Modern World: The Social Teachings of Leo XIII, ed. Etienne Gilson (Garden City, NY: Image Books, 1954), p. 305. Certainly this self-ownership thesis has merit but, just as certainly, not in an unqualified sense. For it would be absurd to say that something owns itself in an unqualified sense, since then something would own and be owned at the same time and in the same respect. Surely, when we say that something owns itself we have to mean that one part owns another part. In which case, (at least) part of a man would be subject to ownership. "That is to say, since I am ordered by nature to certain ends, I cannot be turned away from them by some other human being, as if I were his property;"
This seems like a weak argument, Ed. What are these "certain ends"? And how does slavery necessarily prevent them? If, in saying that Rothbard's case for self-ownership is a good one, you mean that the various difficulties I've raised can be surmounted, then that may or may not be true. But the point is that Rothbard himself did not even see these potential difficulties (much less try to surmount them) which, I have claimed, a good philosopher would have done. Re: the examples you give, it seems to me that they all concern economics in one way or another, even if they are areas where economics touches on philosophy. (Utilitarianiasm and egalitarianism are obviously issues in economics as much as philosophy.) So it is hardly surprising that an economist might have something of interest to say about such issues; indeed, it would be surprising if he didn't. And remember, I have not denied that Rothbard was a good economist, only that he was a good philosopher. Someone might object: "Well, Feser's just putting Rothbard in a no-win situation. Why shouldn't the points in question count in favor of Rothbard's standing as a philosopher?" But to see why I am not being unfair here, consider the following examples: I, Feser, have no doubt said several things (in my writings on Hayek, say) that at least some economists might regard as economically sound and even interesting. Does that make me a good economist? Not at all. I am not an economist, much less a good one. The fact (if it is a fact) that I have taken certain sound philosophical positions that have a relevance to economics doesn't change this. Indeed, if I started regularly to shoot my mouth off about straight economics, I might come off as a very bad economist indeed. This seems to me exactly analogous to Rothbard's relationship to philosophy. Or consider physicists, biologists, and the like vis-a-vis philosophy. Obviously they often say things with interesting philosophical implications. But they also -- notoriously, I think it can be said -- often tend to say foolish things the farther they move beyond empirical science and into philosophy proper. Again, this seems to me exactly analogous to Rothbard. He no doubt said things here and there which are philosophically interesting. But when he went beyond economics and tried to do straight ethics or political philosophy, the results were very bad indeed. Finally, re: the quote from Leo XIII, please keep in mind that I have not said, and would not say, that there is NO sense in which we can be said to own ourselves. What I would say is rather that we do not have over ourselves the radical degree of sovereignty that libertarians claim we do. I can guarantee you that you will find no papal statement to the effect that we have a natural right as masters of our own persons to (say) inject ourselves with heroin, or fornicate, or abort our children, or refuse to work to support our ailing parents. "This seems like a weak argument, Ed"
I wasn't giving the argument, George, but just alluding to it, since this wasn't a post on slavery per se. Briefly, from a classical natural law POV, what rights fundamentaly are is safegaurds to our ability to realize the ends set for us by nature, the realization of which constitutes the good for us. Our ultimate end as rational animals, to which everything else is subordinate, is to know God, who alone can satisfy our desire as thinking creatures for an understanding of why things are as they are, and our desire as willing creatures for the good. We also have various secondary ends -- food, shelter, marriage and children, etc. -- which (except in those cases when these are sacrificed for the sake of God, the highest good to which all other goods are subordinate) are necessary or at least conducive to our flourishing. Hence we have a natural right to pursue all these things and, at least when innocent of serious crimes, cannot justly be put under someone else's authority to such an extent that he could legitimately prevent us from realizing these ends. Hence chattel slavery is ruled out. But so is the radical degree of self-ownership libertarians posit. For we also have no right to prevent even ourselves from realizing the good for us. Hence we cannot possibly have a natural right to kill ourselves, to reject God's will for us, etc. Marriage and children are not absolutely necessary for the realization of our ultimate end, so we are not obligated to marry; but we nevertheless cannot have a right to pursue the goods of marriage in a way contrary to nature's intentions for it (e.g. by fornicating). And so forth. This too is just a sketch, and the details obviously depend on all sorts of other issues in classical natural law theory. Some of the books on ethics that I will be recommending in the next of my series of posts on Neo-Scholastic philosophy deal with the issue of slavery in detail. I am pretty much in agreement with many of your points, though I would still regard myself as a Rothbardian. I would do so, not because I think his arguments can be defended, but on the grounds that his basic approach may be useful, but his weaker arguments could be replaced with stronger ones. That said, I would mount a further defense of Self-Ownership (SO) on the simple grounds that it is an attractive concept that captures or reflects various moral intuitions, a claim similar to one you made in your book on Nozick, and Mack makes in his "Marxism, Self-Ownership and Egalitarianism" articles (though he has a further Aristotelean defense, too). Back to the Rothbardian approach, though, I am an atheist, so I would simply respond to the "God owns us" approach by saying that such a claim is problematic without first providing good reason to believe God exists, let alone owns anything, and then owns us. You are correct that Rothbard should have considered this option, especially since he regarded himself as somewhat Lockean (and his three alternatives aproach reminds me of some of Locke's arguments, except that the response to the "some people own themselves and others" alternative is basically Locke's "natural mark" problem). On the "nobody owns anybody, even themselves" alternative, again, you are absolutely correct that this is a drastic failing of Rothbard's that he failed to consider. I also agree that his claim that ownership denatoes control of a resource is descriptive, not normtive. But what if we made it normative? We could say that Rothbard should have said that ownership denotes a right to control a resource, and so saying that nobody owns anybody, even themselves, would be to deny that anybody has any right to control anybody else, including themselves. Coupling this with a libertarian claim that rights should be understood as all being property rights (an argument made especially well by Hillel Steiner) would reinforce this claim. On the "some people are the property of self-owning others" alternative, again you are correct that Rothbard's arguments for rejecting this seem weak. In fact, they seem to change between Rothbardians: Walter Block, for instance, rejects this alternative on the grounds that it is "non-universalisable" for some reason. I'm not sure why. I would suggest a possible ground for rejecting the alternative could be supplied by Hobbes: Hobbes' social contract requires mutuality of restrictions, or reciprocity, hence his first law is that I offer peace to others on the condition that they offer peace to me, and his second is that I demand as much liberty against them as I am willing to grant them against me. Such demands for reciprocity seem to rule out an outcome that some people should be owners of themselves and others should not be, but should be owned by the first. Indeed, if interpersonal liberty is distributed by rights, it would seem to imply equal liberty by insisting on an initially equal set of rights. That would mean that either we each fully own ourselves, or everybody owns each other, or everybody partially owns each others. On the everybody owns each other issue, I think Rothbard was correct: people would starve waiting for permission to do anything with their body. It seems plain that a Hobbesian social contract would not produce that outcome. But it might produce an outcome where people would say "OK, I am willing to grant you control over your actions and body parts, so that you can act as you choose without permission first [ignoring questions of where they act for now] but I inisist that I still get to share the income that you produce from those actions. Cohen, argues, I think successfully, that such an arrangement would be inconsistant with full self-ownership, but since full self-ownership is what is being argued for here, that is no reason to reject the arrangement. A response to the suggested arrangement might be that if you have granted me the power to act as I choose when I feel like with my own body, you have basically granted me the power to refuse to use it to work to raise an income for you when I do so for me, too. I'm not sure, perhaps that may work. Your second attempt at refuting Rothbard was even less informed than your first attempt. >Now it is true that Rothbard sometimes refers to the thesis of self-ownership as an “axiom.” Still, there are two problems with Casey’s line of defense. First of all, if Rothbard seriously intended the principle of self-ownership as an axiom, then that surely only bolsters my claim that he was a bad philosopher. For the principle of self-ownership is extremely controversial; whether or not it is true, there are many people – including intelligent, rational, and well-informed people – who do not believe that it is. It is in this respect very different from other principles often put forward as axiomatic – the principle of non-contradiction, for example – which have a “self-evident” character and which very few people have ever seriously denied. Hence it is neither at all prima facie plausible to suggest that the thesis of self-ownership be taken as axiomatic, nor wise as a strategy for convincing people to accept a political philosophy that is extremely controversial (as anarcho-capitalism is) to base it on an equally controversial first principle. Even a non-philosopher can see this. Surely a non-mediocre philosopher would have seen it too. This is an ad populum fallacy. You cannot claim that Rothbard's contention that the principle of self-ownership to be an axiom is incorrect because "many people disagree with it". ALL propositions must be criticized on their own merits, not how popular they are in the eyes of others. While the popularity and general consensus of a proposition are indicators and hints as to the validity of it, scarcely can such things be used to confirm or refute the proposition itself. By that logic, the Earth really was flat at one point because the "experts" said so. >Secondly, in dealing with this first criticism, Casey does not quote in their entirety the relevant passages from For a New Liberty and “Justice and Property Rights.” I do quote the entire For a New Liberty passage toward the beginning of my original piece. The reader who goes back and takes a look at it will see that Rothbard does indeed clearly give an argument – let’s call it the “reductio argument,” since he tries to reduce the denial of self-ownership to absurdity – in defense of the thesis of self-ownership. >Now it is also true, as Casey says, that it is a logical solecism to argue for an axiom or first principle. But given the textual evidence, what follows from this is not that Rothbard didn’t argue for the principle, but that since he did argue for what he claimed was an “axiom,” he was even more muddleheaded than I let on in my original piece. This judgment is given further support by another passage from For a New Liberty where Rothbard asks of what he calls the “nonaggression axiom,” “how is this axiom arrived at? What is its groundwork or support?” and suggests that “there are three broad types of foundation for the libertarian axiom… the emotivist, the utilitarian, and the natural rights viewpoint” (p. 26). How can an axiom be “arrived at” or given a “foundation”? This contradicts your own statements that showed you understood that axioms can be "arrived at" by way of "negative justification". Rothbard clearly did not intend to use the natural rights viewpoint as positive support for self-ownership. The "foundation" Rothbard speaks of is as argumentative foundation, not a metaphysical foundation. This is a valid criticism, however you are putting far too much weight on Rothbard's reference of these two allegedly possible "foundations". He was strictly a natural rights philosopher. To criticize him for merely hinting at these other two is not very genuine on your part. >Furthermore (and as the passage just quoted indicates) while Rothbard sometimes speaks of self-ownership as axiomatic, he also often speaks instead of the “nonaggression axiom” as what is fundamental to libertarianism, where the “nonaggression axiom” rules out the initiation of violence or the threat of violence against another person or his property. This is evidently a different principle from the self-ownership principle, though there is obviously a connection between them. Indeed, Rothbard treats the principle of self-ownership as a justification for the nonaggression principle: the reason you should not initiate violence against others is that they own themselves. But if the nonaggression principle is itself justified only by reference to the self-ownership principle, in what sense is it “axiomatic”? 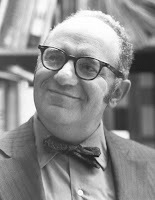 >And if it is not axiomatic – if Rothbard’s reference to the “nonaggression axiom” is not meant seriously (given that the nonaggression principle is actually something he thinks needs to be justified by reference to some other principle) – then the fact that he sometimes refers to the principle of self-ownership as an “axiom” does not show that he really believed it to be strictly axiomatic either. Fallacy of poisoning the well. >Hence, either Rothbard was not serious about treating self-ownership and/or nonaggression as axiomatic – that is, he was using “axiom” in some loose, popular sense and not a technical philosophical sense – or, again, he was serious about it, and thus was simply muddleheaded in raising the question of what “foundation” one ought to give such principles. Either way, Casey’s first line of defense fails. Not at all. Your criticisms are moot and disingenuous. It is not the case that because the non-aggression principle can be founded upon the self-ownership axiom, that the non-aggression principle ceases to be an axiom. If a principle can be shown to be self-evident, THAT is what establishes it as an axiom. It is not the case that all axioms must be without any foundation at all. As Rothbard has noted many times, a proposition that cannot be refuted as refuting it establishes the validity of it, that proposition rises to the status of axiom. >Now Casey also suggests, in the next section of his article, that what I have called Rothbard’s “reductio argument” be understood, not as a direct argument for the thesis of self-ownership, but rather as an indirect defense of the sort that tries to show that anyone who denies self-ownership must be led into a performative self-contradiction. This would be an application of what is known as the method of “retortion,” and it is sometimes deployed in defense of axioms, as Aristotle deploys it in defense of the principle of non-contradiction. So, while a direct argument for an axiom would be a solecism, an indirect defense of the retortion sort is perfectly legitimate; and this, Casey claims, is what Rothbard was up to. >But there are three problems with Casey’s suggestion that the “reductio argument” was intended as an application of the method of retortion. First, while Rothbard deploys the “reductio argument” in For a New Liberty, where he makes much of the idea that libertarianism rests on an “axiom” of non-aggression or (alternatively) self-ownership, he also deploys versions of the same argument in both “Justice in Property Rights” and The Ethics of Liberty, where, interestingly, the “axiom” idea does not play a role. But if this argument was not intended as an application of the retortion strategy in the latter two works (since there is no talk there of an “axiom” of self-ownership), but rather as a direct argument for self-ownership, then we have good reason to think it was intended as a direct argument in For a New Liberty as well (where, as we have seen, Rothbard’s use of the term “axiom” is very slippery in any event). properties of others. Hence, all legitimate property-right derives from every man's property in his own person, as well as the "homesteading"
principle of unowned property rightly belonging to the first possessor." impermissibility of property in another person." So much for the baseless assertion. >Moreover, even if Rothbard shifted strategies between For a New Liberty and the later works – that is, even if he intended his argument as an application of the retortion strategy in the earlier work but not in the later works – that would hardly help Casey’s defense. For it would constitute a tacit admission on Rothbard’s own part that the “axiom” approach is implausible and should be abandoned. And in that case, Casey’s appeal to the “axiom” interpretation as a way of rescuing Rothbard’s arguments from my criticisms would be undermined. Not at all. Considering how you clearly haven't clearly read The Ethics Of Liberty, this argument also falls flat. >Second, the retortion interpretation of what I have called Rothbard’s “reductio argument” is implausible even apart from these textual considerations. For the “reductio argument” goes well beyond the appeal to performative self-contradiction that is central to the retortion strategy, making reference as it does to various empirical economic claims. This doesn't even make sense. Are you suggesting that the "reductio argument" is invalidated if a writer referred to empirical economic claims? The "reductio argument" does not make any reference at all to empirical economic claims. Only the individual can do that. >Third, even if Rothbard really did for all that intend the “reductio argument” as an exercise in retortion, it is still a very bad argument, for all the reasons set out in my original piece. The claims in your original piece was handily refuted by Casey. >Indeed, given all the problems outlined in that piece, it is an even worse argument if interpreted as an exercise in retortion, since the whole point of retortion arguments is to provide a crisp and conclusive proof that will close off any further debate. Absolutely false. The retortion argument is not intended to "close off any further debate". It is merely a method to prove the validity of an axiomatic proposition. >Rothbard argued that “since ownership signifies range of control, [the claim that no one owns anybody, not even himself] would mean that no one would be able to do anything, and the human race would quickly vanish.” In response, I pointed out that “while having ownership of something does imply having a range of control over it, having a range of control over it doesn’t imply ownership … Animals have a range of control over their environment, but since ownership is a moral category implying the having of certain rights, and animals (by Rothbard’s own admission) have no rights, it follows that they have no ownership of anything. And of course, their lack of ownership of anything hasn’t caused animals as a whole to ‘vanish,’ ‘quickly’ or otherwise." >One problem with this move is that it simply does not fit the textual evidence. In the passage in question, Rothbard doesn’t say that “ownership of one’s body signifies the right to a range of control over it” but rather merely that “ownership signifies range of control.” That is to say, in this particular passage Rothbard is evidently concerned with ownership in general and not merely with self-ownership; and he is not making the (normative) point that ownership entails a right, but rather the (descriptive) point that it entails certain practical abilities such as the ability to feed, clothe, and shelter oneself. OK, a number of problems here. Your initial response to Rothbard, that is, your reference to animals having a "range of control" over their surroundings, but no ownership, says NOTHING about the context of ownership in HUMAN society. You cannot merely state that because animals do this or that, that an argument about human ethics is invalidated. You cannot drop the context of human ethics, make an argument about animals, then jump back to humans and make a conclusion. Rothbard specifically notes in the Ethics of Liberty that he intends to create a HUMAN ethic. As such, YOU must stay in that context if you want to refute what he says for whatever reason. Sorry for spamming you with post after post. I don't have my own blog, so you can ignore all those posts I made to you. I instead created a small little personal writing page. Here is my response to your latest piece on Rothbard and Casey.